1. Make every player a welcomed and appreciated part of the team. 3. Share biblical life lesson at each Upward practice. 1. 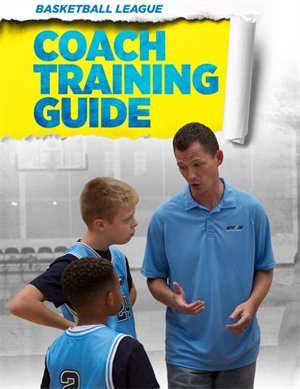 Pre-Practice Huddle (3-5 minutes) – Cover specific basketball rules and the basics of basketball. Teach and review proper techniques for each skill needed for practice drills. 2. Warm-up Activity (3-5 minutes) – Provide players the opportunity to practice individually and slowly warm up their muscles. 3. Practice skills through drills (20 minutes) – Use drills that reinforce skill development. Focus on only one to two skills per practice. 4. Mid-practice huddle (five to seven minutes) – Share the practice-specific devotion for each week. 5. Scrimmage or games that teach (20 minutes) – Guide players in using the skills they are learning through scrimmaging. 6. Post-practice huddle (five minutes) – Distribute practice cards and make any necessary announcements. After practice is a great time to engage in conversation with parents.